The R abs method is one of the R Math function, which is used to return the absolute Positive value of an individual number, or an expression. In this article, we will show you, How to use abs in R Programming language with an example. Number: It can be a number or a valid numerical expression for which you want to find absolute value. If the number argument is positive or negative zero, abs function will return positive zero. If the number argument is not a number, abs function will return Error. 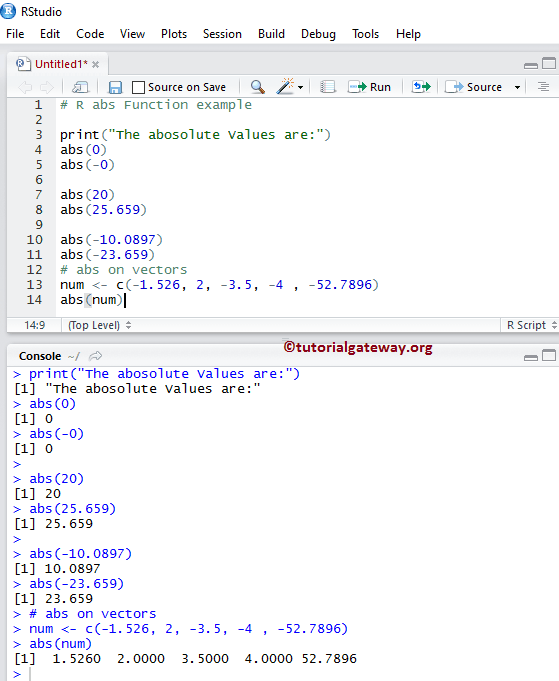 The ABS Function in R also allows you to find the absolute values of a column value. 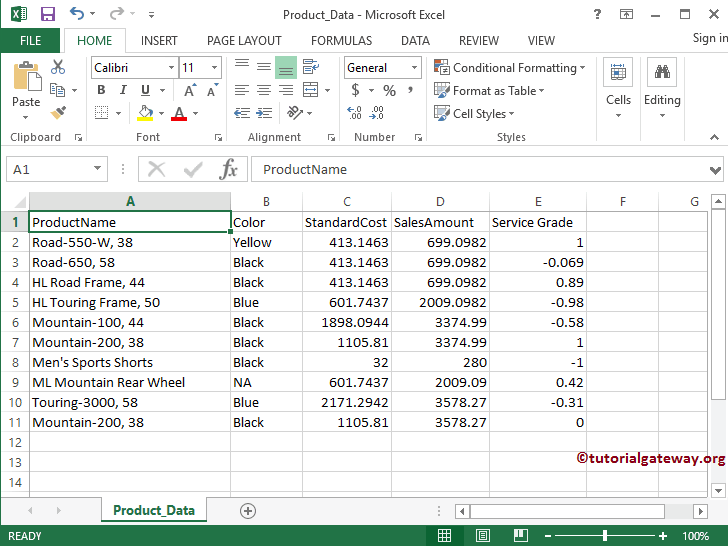 In this example, We are going to find the absolute values for all the records present in [Service Grade] column using abs Function. For this demonstration, We are going to use the below-shown csv data. 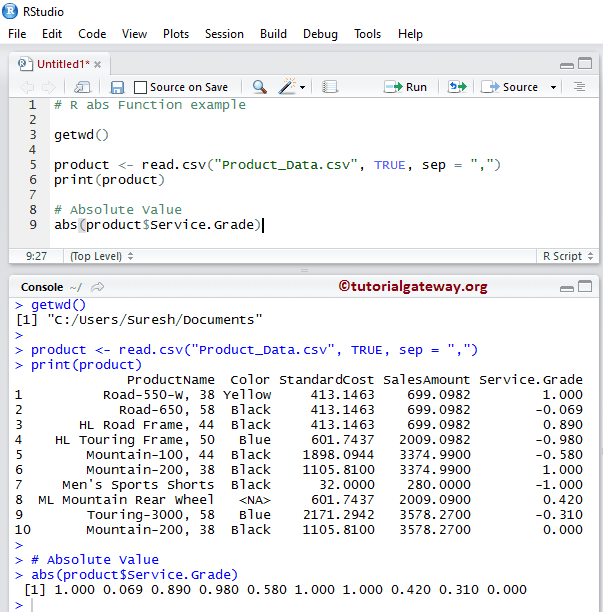 I suggest you refer to the R Read CSV Function article to understand the steps involved in importing CSV file.